Ham Morrison has been racing since the day he sat in the driver’s seat of his father’s 1976 Plymouth Fury. 22 years later and fresh out of college, Morrison finally got behind the wheel of a real race car at the Bob Bondurant School of Racing. During the school’s final race, Morrison felt years of determination and drive come to fruition; Morrison won. “The moment Mr. Bondurant came down from that flag stand to shake my hand I knew I wanted to race and had to potential to do it,” says Morrison. And he was right. In 2004, Morrison completed his first full season and earned the 2004 Summerville Speedway’s NASCAR Thunder and Lightning Division Championship, securing 3 victories and 10 top 5’s that year. 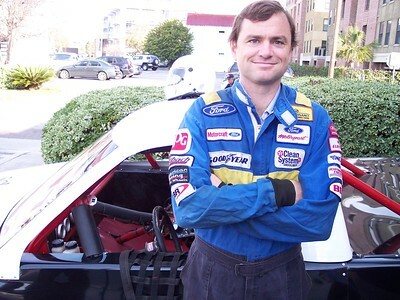 Ready to continue his passion and success, Morrison started 2005 by racing in the NASCAR’s Whelen Late Model Super Truck Series at Myrtle Beach Speedway. To date Morrison’s #74 has had 20 starts with 6 Top 10’s against a field of 24 better funded teams. No small feat and a testament to his growing potential.